It is quite fitting that we wrap our Fantasia coverage with a collective anthology tribute to the city of Montreal. Too bad its done for. Evidently, the town is built over a Hellmouth thingy that is wafting evilness into the Quebec capitol. Okay, but can they handle a steam pipe explosion? Like the Flatiron District, Montreal residents will just have to do asbestos they can. At least they have a “Guardian” who can take care of this kind of thing, if only he could find his Lovecraftian book in—bear with us—Hugo Belhassen, Audric Cussigh, Julie De Lafreniere, Tiphaine DeReyer, Eve Dufaud, Remi Frechette, Emilie Gauthier, Mara Joly—hang in there—Quentin Lococq, Charles Massicotte, Mickael N’Dour, Jimmy G. Pettigrew, Priscilla Piccoli, Gaelle Quemener, Loic Surprenant, Frederick Neegan Trudel, Catherine Villeminot & David Emond-Ferrat’s Montreal Dead End (trailer here), which screened during the 2018 Fantasia International Film Festival. The sinister green smoke manifests itself in various ways. There is body-switching, cannibal zombies, creepy-crawlies, and ghosts. Some are pretty gross, whereas others are rather clever. The two best stories involve a bogeyman who preys on both the descendants and memory of prominent historical Canadians and a couple who cluelessly navigate a mini-zombie apocalypse only affecting Celine Dion fans. There is also a rather straight-forward but effectively creepy tale of a night watchman in a gardening nursery stalked by a malevolent spirit. In contrast, the body-switcheroo is a little too shticky and there are two night-club horror stories that are way hipsterish and not sufficiently differentiated. 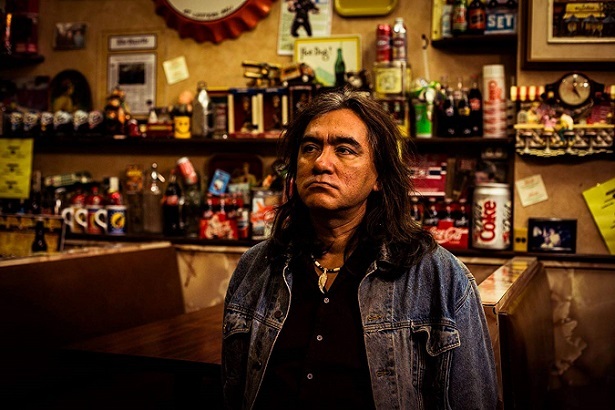 In this case, the wrap-around segments are unusually clever and intriguing, thanks to Marco Collin’s wry performance as the First Nations Guardian. He could hang with Lin Shaye’s Elise Rainier. Alice Tran and David Noël also have some terrific comedic timing and an admirable willingness to act in a little goofy as the couple apparently unaffected by the Celine Dion outbreak. MDE manages to be low-fi in a way that isn’t annoying. Granted, it is uneven (several of the constituent tales are really more like interstitial sketches), but it is jolly entertaining to watch the Collectif filmmakers throwing in increasingly larger and more eccentric kitchen sinks into the no-holds-barred mix. It also makes us glad we covered the festival remotely this year. 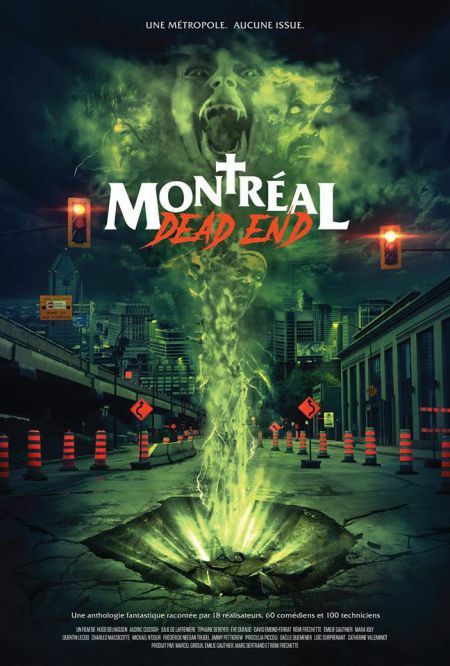 Highly recommended for fans of horror anthologies, Montreal Dead End premiered at this year’s Fantasia.